Porsche will launch an electrically powered car at the end of the decade. The German automaker is aware of the huge amount of environmental concerns among consumers. Called the Mission E, this will be Porsche’s first breath in the electric-car industry, which is simply dominated by Elon Musk’s Tesla. The Mission E made its big début during the September Frankfurt Motor Show event. The company notes that the Mission E will be 100% electrically powered. 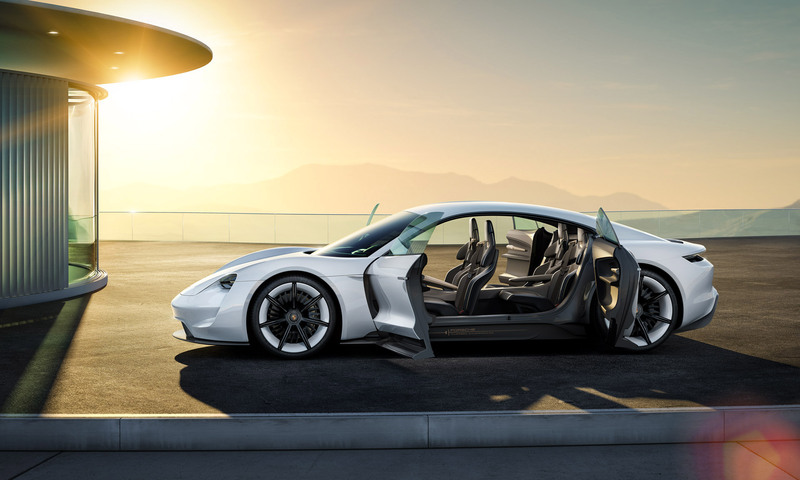 Christian Weiss, Porsche corporate spokesperson, has said that the company’s new electric sports car will blend the traditional, beautiful design of Porsche with incredible driving performance. The automaker’s Mission E will be powered by a 800-volt electric drive system. Indeed, it appears to be a huge change of direction as the car manufacturer is known for their loud, speedy and fuel-hogging vehicles. Going green doesn’t necessarily mean a cut in performance. In fact, the car will boast a 600 HP engine, and it will be able to reach 62 mph in just under 3.5 seconds. Impressive not only for an electric car, but for the whole automotive industry. It’s sort of a new beginning for the company. The chairman of the executive board, Dr. Olivia Blume, has said that it’s time for a new chapter in the Porsche book. Along with support from the chairman of the supervisory board of Porsche AG, Dr. Wolfgang Porsche, both chairman have assured consumers, and sport car lovers that [the company] won’t back down from the podium any time soon. The brand is well-ware of the sensitive issues that are changing the world as we speak – in a good way, mind you. According to official statements, the Mission E will please both die-hard followers, which have matured along side the company, and young-consumers, who are more eco-friendly. However, this isn’t the first time Porsche is meddling with electrically powered cars. Back in 1900, Ferdinand Porsche developed the Lohner-Porsche Mixte Hybrid, and it is in fact the first hybrid car ever constructed. By welcoming the future with arms wide open, Porsche will be investing about 1 billion euros into a new assembly plant and paint shop. The company will also be expanding their engine factory in order to produce more electric parts for their cars. This will create more than 1.000 jobs. This is also a means to drive away from the emission tests scandal. Earlier last month, it was brought to light how Volkswagen programmed their software to cheat on emissions tests. Consumers tend to like companies that say no to pollution. Even though their not in the same bowl with Audi and Volkswagen, it’s still a great strategy that will have impact on Porsche’s image. We’re quite curios to see Elon Musk’s reaction to this. As he’s not known to play well with other competitors. See the Apple is a Tesla Graveyard scandal, which, in al fairness, is pretty funny, but downright cruel.